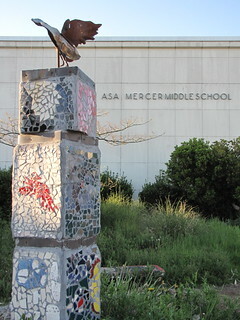 New safety projects around Mercer Middle School are taking off. If you live, work, walk, bike or play near Mercer Middle School on Beacon Hill, you are invited to attend a Walk/Bike Audit hosted by the Safe Routes to School Partnership. See below for the details or click here for the flyer. This event is made possible by a Safe Routes to School Grant from the Seattle Department of Transportation, the Washington State Department of Transportation, and the generous involvement of the Mercer Middle School PTSA.